Operating Days: March - August Open 7 Days a Week September - February Closed Tuesdays and Thursday Special arrangements available on Closed days for daily cruise ship customers. The town’s guided Segway tours are something you just have to try. Come and experience the fun and adventure of riding your very own Segway personal transporter through the beautiful Cocoa Beach. The town’s only guided Segway tour is something you just have to try. 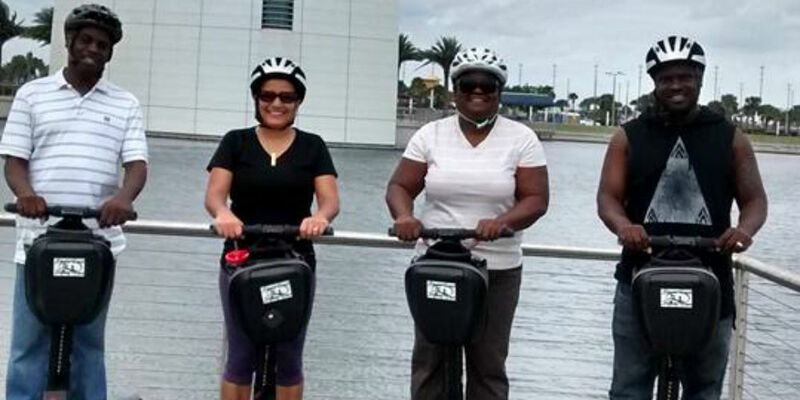 Come and experience the fun and adventure of riding your very own Segway personal transporter through warm and sunny Port Canaveral. Experience an up close and personal look around the beautiful property of Ron Jons Cape Caribe resort, the amazing Atlantic Ocean and the Port with the possibility of catching a full view of the cruise ships or even a manatee in the locks.